In another pan heat the water, add the broken pieces of palm jaggery / karupatti along with the cardamom powder. In medium flame bring it to a boil until all the jaggery is fully dissolved. Remove from flame and strain it. Now add the jaggery water to the roasted flour while it is still hot. Slowly using your hands combine to form firm balls. Remember it should not be too soggy or wet but dry. Hold each ball of flour firmly by pressing it a little. Place on a serving tray. - You can alternate palm jaggery by using regular jaggery although the taste would differ. good lighting ! nice clicks esp the blue back drop awesome ! Delicious laddoos.. Can enjoy them guilt free. 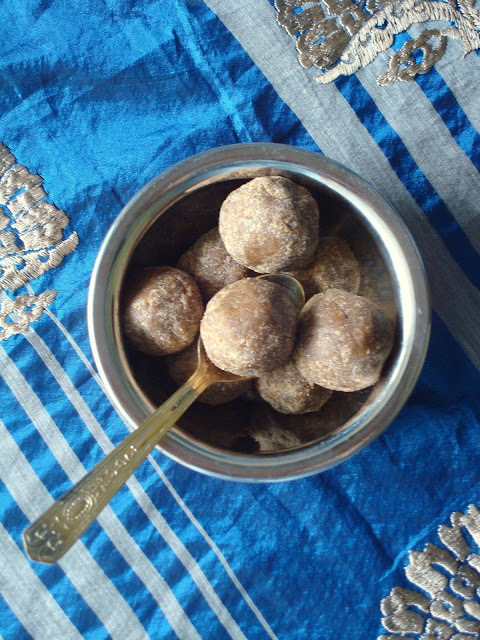 Thaara loves laddoos, will try this for her sometime. 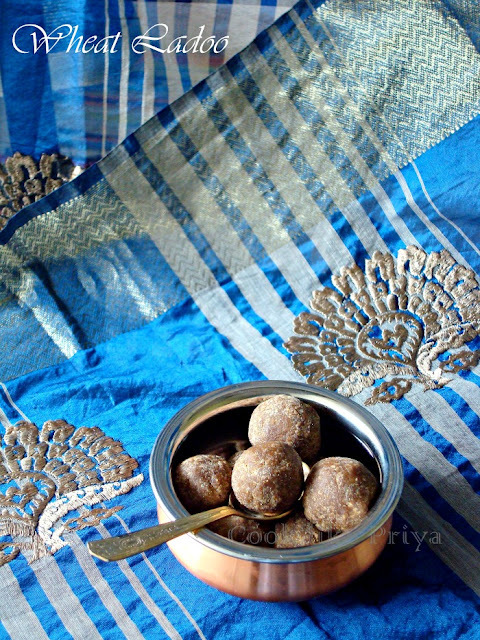 These ladoos look awesome and healthy too..
Priya my granny used to make these and after that no one learnt it so no one makes it your post makes me nostalgic. thats a healthy and cute looking ladoo :) I'm also in mood to try diff ladoo varieties.. Very healthy and guilt free laddoos, loving it. 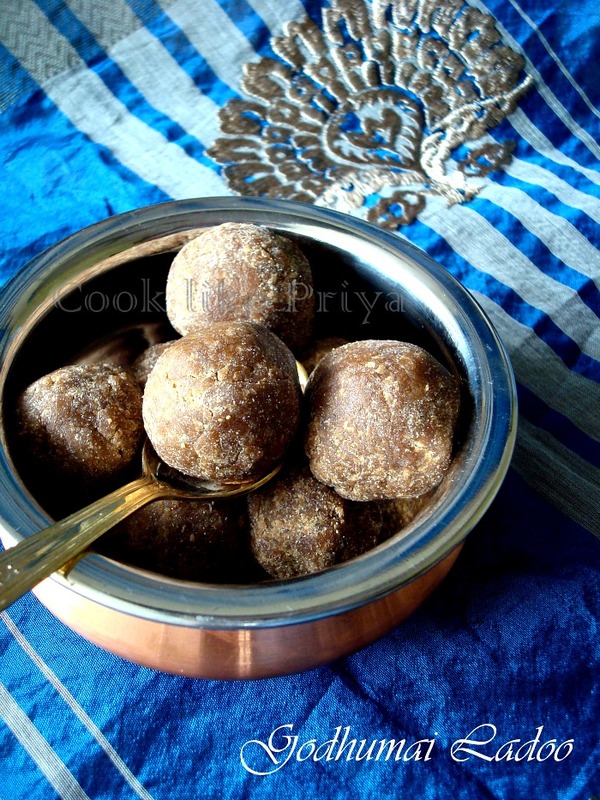 Perfectly made wheat ladoos Priya :) Love those shots too !! Lovely blue color.. Healthy n yummy laddus, perfectly shaped n well presented! Ladoos look simply awesome and wholesome.